Free Time in Cape May and Transportation. Is a day away all that you need to feel revitalized and ready to take on the challenges life sends your way? 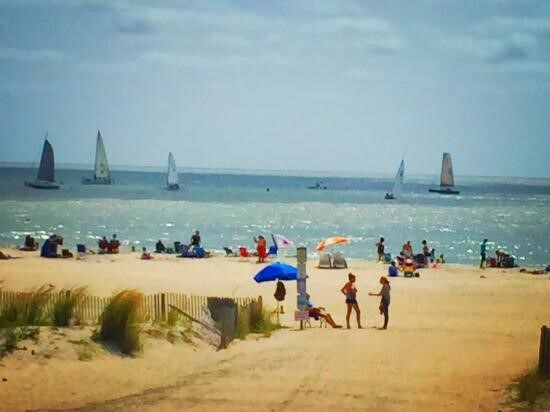 How about a day away in Cape May, a lovely seaside town full of history and charm and a wide sandy beach that welcomes you to bask in the sun and enjoy a warm summer breeze. You will arrive at the Welcome Center in Cape May at approximately 11:30 a.m. (pending traffic). A short stop will be made on the way to Cape May. Enjoy a day on your own to sightsee, shop, or relax on the beach. 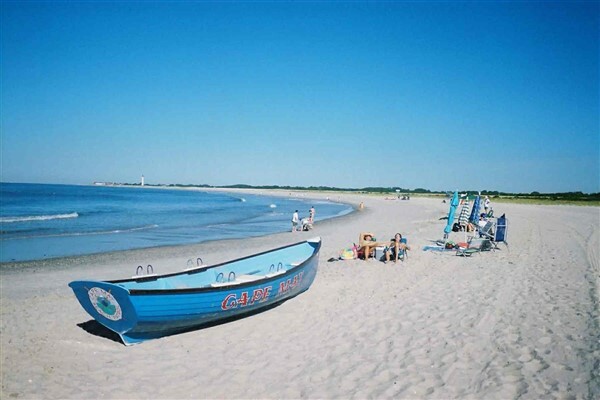 Cape May has wonderful sightseeing options ranging from trolley tours to dolphin and whale watching cruises (additional fees apply). 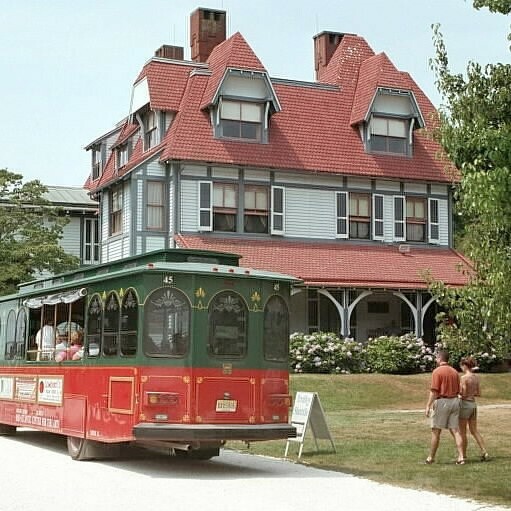 The perfect way to see Cape May is to hop on one of the cherry red trolleys for a guided tour of America’s first seaside resort and discover Cape May’s Victorian heritage and maritime history. Tickets may be purchased at the Washington Street Mall Information Booth or call 609-884-5404 for more information. 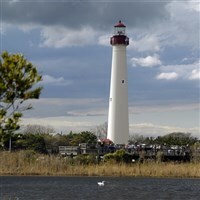 You may wish to visit the Cape May Lighthouse on Cape May Point and take a trip to the top for a picturesque view of the surrounding area. If you are unable to negotiate the many steps to the top, the Oil House on the grounds contains a fully accessible Visitors’ Orientation Center and Museum shop featuring lovely souvenirs to commemorate your visit (additional fees apply to enter the lighthouse). Tickets may be purchased upon arrival at the lighthouse. If you are interested in taking a relaxing cruise along the shores of Cape May to learn more about the marine mammals that inhabit its waters, an option for you would be to choose the Cape May Whale Watcher. This 110-foot vessel has been offering dolphin and whale watching cruises since 1993 (additional fees apply). For more information or to purchase tickets call 800-786-5445. Finally, if you just want to soak up some rays and frolic in the ocean, you will have to obtain a beach tag for admission. Beach tags are required from 10 a.m. - 5:30 p.m. Memorial Day through Labor Day. To secure a one-day beach tag prior to your arrival, you may call the City of Cape May at 609-884-9525. Otherwise, you can obtain a one-day beach tag the day of arrival at all beach entrances. We will depart Cape May at 5:30 p.m. to return home with a fast food dinner stop at your expense on the way. 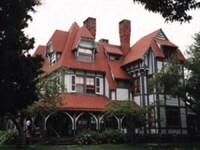 Make the most of your one day away, choose Cape May! Harrisburg Mall Harrisburg Mall -3501 Paxton St.